If you’ve got a slew of different applications running on your home network, it might be time to add a reverse proxy. 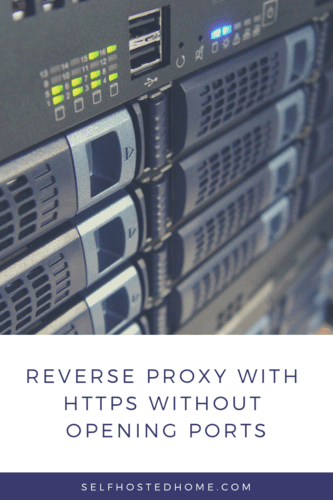 What is a reverse proxy? It allows you to access your services at a nice easy to remember URL rather than an IP Address and port. For example, instead of accessing Home Assistant at http://192.168.1.2:8123 I can instead type https://homeassistant.example.com. On top of creating a reverse proxy in today’s article, we’ll also be adding HTTPS support via Let’s Encrypt. This will give us a secure connection on our LAN so that when we connect to the application we know there is no one listening while on our network. Maybe a bit overkill, but it does give you the nice green badge in your browser too.